The 999 Academy in Bridgwater, the first of its kind in Somerset, has been officially launched. The initiative is a joint collaboration between Avon and Somerset Police, Devon and Somerset Fire and Rescue Service, South Western Ambulance Service NHS Foundation Trust and Bridgwater & Taunton College. The first 20 students and their families joined members of the emergency services and college staff to be officially welcomed to the academy and receive their Academy identity badges from Sedgemoor district councillor Ann Bown. 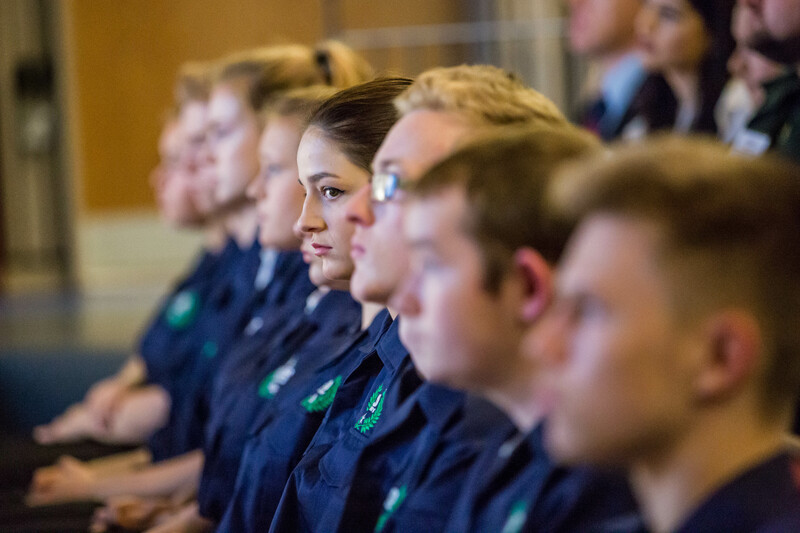 The mission statement of the 999 Academy is: To provide knowledge and skills for individuals by raising aspirations and promoting a positive image and using the following core values: Respect; Inclusion; Education; Safety; and Community. The programme inspires young people aged 16-18 to become valued and respected members of the community, while furthering their interest for a career in one of these services. The 20 new recruits will develop skills and confidence that will be of benefit to communities and employers, as well as having an inspirational and enjoyable time. The course includes water, mud and rope rescue, breathing apparatus, road traffic collision, water and hose, missing people, anti-social behaviour, first aid, conflict resolution, command and control, communication, team building and interview techniques. Funding for the protective equipment needed by the students and for a residential experience was raised by the charity SAFE South West and included grants from Sedgemoor District Council and the Leonard Laity Stoate Charitable Trust. Emily Cannell, a year one Public Services Student at Bridgwater & Taunton College, said, “I was absolutely thrilled when I found out I had received a place into the Bridgwater 999 Academy. I felt that during the interview processes I performed to the best of my ability however I did struggle in the practical aspect of it, which was visible to others, but I didn’t give up. With the help of my tutor Ruth Burrows and the rest of the team around me I got back into doing the bleep test and completed it at level 5.4 which one day may enable me to get into the police service as that is the entry level.